Artist and musician collaborations not only produce album cover art but also poster and t-shirt art, website art, stage design, costumes and backdrops. The best collaborations encompass the whole visual image of a band – and since musicians get in front of a lot of people, collaborating with a musician or band can expose an artist in a way a gallery exhibition never can. These days the idea of collecting and owning music seems almost quaint. In response to streaming services undermining consumer incentive to purchase albums, musicians are pairing up to manufacture unique art experiences that create a context for their music as the album cover art once did. Now that music tracks can be infinitely duplicated and shared for free, musicians are looking to collaborations with top artists to devise new ways of selling music and to bring their audiences unique musical experiences. This move is exacerbated by a general trend in which musicians are teaming up with collaborators like never before. In a typical month in the 1980’s, seven of the Billboard Top 100 songs featured a collaboration. Today, that number is over 30. This trend towards collaboration is driven in part by the increasing popularity of electronic music and hip-hop where the DJs and producers mix tracks by different singers and musicians and bend genres at will. It is also a way for lesser-known musicians to expand their fan bases by reaching one another’s fans. Attempts by museums and art institutions to highlight these cross-art alliances haven’t always fared so well. For example, MoMA’s 2015 Bjork show, which included collaborations with then-husband artist Matthew Barney and artist Scott Snibe, was almost universally panned – but the realms of music and high art have often collided in stimulating, unexpected ways. Among the most bizarre are Salvador Dali’s near life-size hologram portrait of the musician Alice Cooper biting off the head of Venus de Milo, and Grace Jones’s video for her song I’m Not Perfect But I’m Perfect For You featuring Andy Warhol and produced by artist Keith Haring. 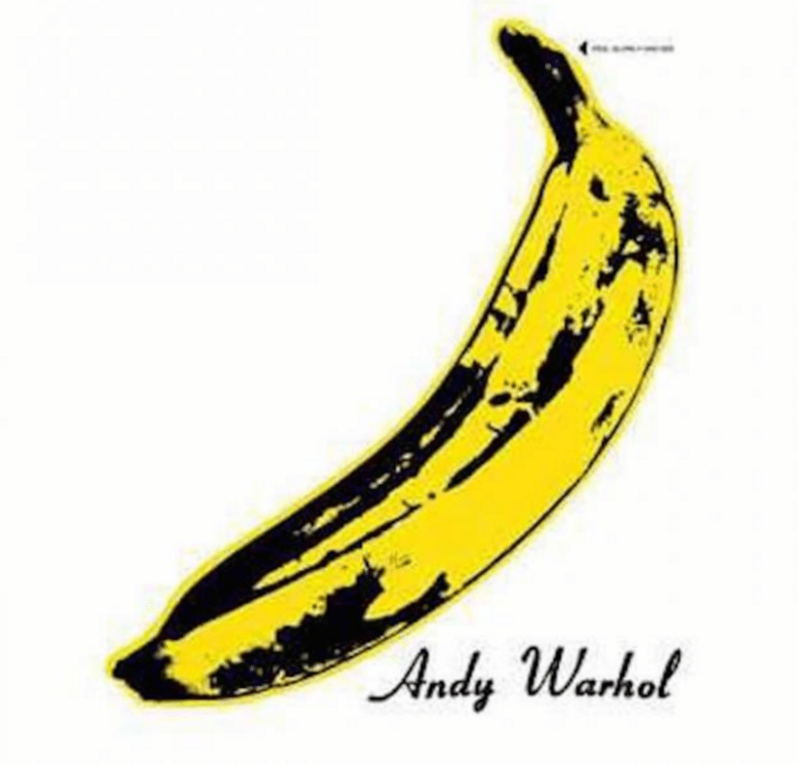 Andy Warhol’s infamous cover for Velvet Underground. Such collaborations are not new. Painter Salvador Dali, composer Erik Satie, and playwright Jean Cocteau all came together in 1916 to create Parade, a ballet performed by Sergei Diaghilev’s Ballet Russe. Sometimes referred to as the first Happening, Artist Robert Rauschenberg, choreographer Merce Cunningham and musician David Tutor were among the participants in John Cage’s Theater Piece No. 1 at Black Mountain College in the summer 1952. Album cover art is a popular way for the artist and musician to collaborate. Warhol created cover art for a variety of acts including The Rolling Stones, Aretha Franklin, and The Velvet Underground. Radiohead frontman Thom Yorke’s college buddy British artist Stanley Donwood has created all of that band’s cover artwork. Record labels such as Stones Throw Records out of San Francisco have gone one step further by pairing artist and musician to make unique items to be sold in limited editions. In 2008, for instance, they produced a monograph of Jason Jägel’s work entitled Seventy-Three Funshine to accompany a ten-inch vinyl by the rapper, DJ and producer Madlib. Have You Dreamed of Creating Album Cover Art? As an artist, selling your original work to someone who will hang it on their wall is a big deal and usually a substantial financial commitment for the buyer. While selling original pieces is great, it’s not the only way to get your artwork out in the world. Part of what makes the artist and musician collaboration beneficial is that musicians travel to audiences. By placing your artwork on album cover art or on a t-shirt, it will more likely find its way into the homes of people who might develop a relationship with your artwork and become collectors at a later date. Artists often develop lasting relationships with bands and musicians. If you are really dedicated to the album cover as an art form, you may consider becoming a cover art graphic designer. Typically such designers work in-house for a major label like Sony Music Entertainment or Universal Music Group, but some established album designers with an established roster of clients have stable freelance careers. Alternately, you could make a profile on some huge general marketplace like fiverr.com and wait for musicians to come to you. But the best opportunities to collaborate in the music industry are to be found through personal connections. When seeking to network and collaborate with musicians or simply to get attention and build a long-term creative relationship, your current circle of friends and acquaintances or local scene is the best place to start. If you are just starting out, an indie musician is much more likely to work with you then a major musical act, and you will both experience the benefit of learning the process together. Choose someone you actually admire and can envision working with well with over the long term. If you are looking to work with a musician or band, it’s up to you to cultivate that relationship. If you have an art show, you can invite band members to attend. If you want to be more proactive, you might organize an art show and invite the musicians you like to perform. Or you might offer to make costumes or sets for a performance. Get creative. There are lots of ways to collaborate with musicians. If you are an avid music fan, get into the habit of introducing yourself to musicians and letting them know about your interest in an artist and musician collaboration. 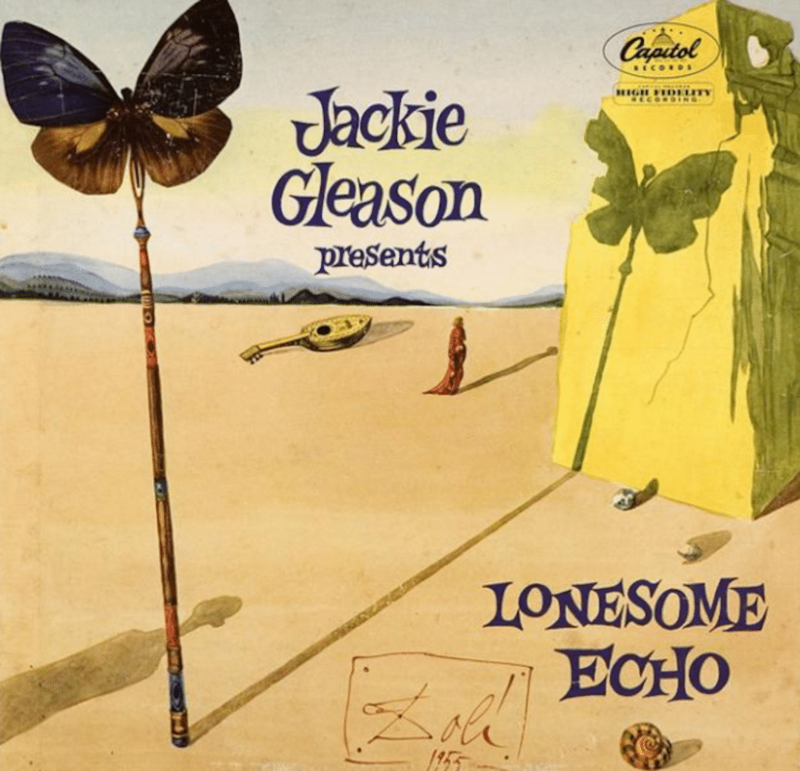 Salvador Sali once designed an album cover for the legendary Jackie Gleason. Meet with the musicians to discuss their ideas and concepts for the album as well as any finished tracks and share your thoughts as well. Perhaps you have a very developed idea of what you want to create based on your understanding of the band’s music. Be prepared to share your work or vision for their album cover art, whether through a studio visit or a digital portfolio of images. Think of this process as a getting-to-know-you stage, like dating. Don’t be afraid of feedback. Will you get paid for the gig? If so, will it be upfront or as a percentage of sales? Get clear on these details upfront to avoid misunderstandings later on. Find out the design specifications for your final design and decide who is in charge of producing the final layout and product. If you have design knowledge, you may offer to handle this aspect. If the band has a manager and/or label, they will likely handle this part. Once you have agreed on a basic direction for their album cover art or other such projects, present a series of rough ideas to the musician or band for their comments. Then, alter and resubmit your designs or potentially submit a new round of designs until a consensus is reached. Consider setting a cap on the number of revisions at the outset. If you cannot arrive at a satisfactory outcome within this limit, suggest a conversation in order to better understand your collaborators’ needs. Don’t be afraid to part ways if you cannot agree on a clear direction. It’s better to preserve the relationship than force an artist and musician collaboration that satisfies no one. In general, this step will become more intuitive the longer you work with a band. Finally, establish how you will be credited and devise a collaborative media plan so that you can both benefit from outreach to each other’s audiences. Networking and collaboration with musicians works the same way as networking and collaboration does in any scenario or situation, you support and eventually befriend the people you admire, share your art with them, stay open to the possibilities and ideally grow together. Oh yeah, and the best part of collaborating with musicians, is that it should be fun – remember that! Are you embarking on your own artist and musician collaboration? Tell us in the comments.